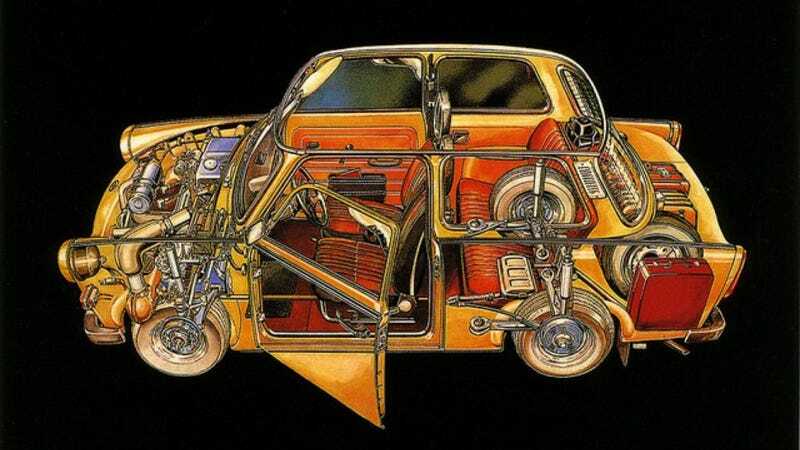 There’s more space than you’d expect inside a Trabant. There’s more space than you’d expect inside a Trabant. It’s a good day to pack up the trunk and go.